We are aware that this is a significant amount of people who believe that headcovering is not limited to corporate worship. This article is not written for those with that conviction. This article is written to those who believe the command is limited to certain contexts and are thinking through if they should cover (women) or uncover (men) in various situations. Due to the nature of the subject matter, this should be read as opinion rather than authoritative. Determining “where” women should cover their heads is one of the more difficult and less-clear aspects of the passage. As we’ve articulated here, we believe that the symbol is meant for corporate worship. But how broad or narrow should we define corporate worship? Is this just the Sunday church meeting or does it have application for other settings? In this article we’d like to provide some thoughts to help determine if a woman should cover her head in a particular context. Before we talk about specifics, it’s important that I first share my guiding principles. These are the questions I ask myself about a situation to determine if my wife should cover her head (and if I should remove my hat). 1) Is this meeting of believers under the authority of the elders/local church? If so and if there is corporate participation then I’d say yes it is corporate worship. 2) Does this meeting pattern itself after a church gathering (praying and singing together, preaching etc.)? If so, I’d say it is corporate worship. 3) Will there be corporate singing to the Lord together? If so, that’s a strong indication that it may be corporate worship. 4) Would it be appropriate in this setting to take part in the Lord’s supper? If so, that’s a strong indication that it may be corporate worship. 5) Would it be inappropriate for a woman to be the speaker/leader of this gathering of Christians? If so, that’s a strong indication that it may be corporate worship. The more of these elements that are present, the more sure I am that a woman should cover in that setting. I am operating under the assumption that “prayer and prophecy” is not limited to the person taking the lead but is even for the people praying along in agreement. I believe Paul mentions “prayer and prophecy” to emphasize the specific time when we’re participating corporately in worship. During Paul’s time there were no church buildings and if you’ve ever worshiped in a house before, you’ve likely seen there was a time of worship but also a time when the body is still gathered together, but not worshiping. The head covering is then not required for any time the church assembles, but only when we’ve begun participating in corporate worship. I also see “prayer and prophecy” as a summary of the things we do in worship (vertical/horizontal), rather than an exhaustive list. Because of that I see the need to be covered more often than when praying to God or sharing a prophetic word, but rather for the entire time we are worshiping together (this will include, but not be limited to, taking the Lord’s Supper, singing, or sharing a testimony). There is nothing special about a church building. It is not a temple and women are not instructed to cover their heads when they enter through its doors. Women are to cover when they partake in worship acts (praying and prophesying) not when they are present in a location (like inside the church building). So it’s not “where” you are but “what” are you doing. So whether your church meets in it’s own building, in someone’s home or even in a cave–women should cover their heads wherever the church is assembled to worship together. This means that if you’re in the church building, but not worshiping (like watching babies in the nursery or cleaning) or if the church has not yet begun worshiping together (like fellowshipping in the foyer before the meeting starts) there would be no need to cover. Some churches view the post-service fellowship and/or their corporate meal together as an extension of their worship. If it is viewed as that, women should keep their coverings on in those instances. I was once part of a church that had a 15 minute break for fellowship in-between the singing and the sermon. This fellowship time was intentional and a part of the worship meeting. In that situation my wife kept her covering on. A local church will often have gatherings outside of the Sunday service. If these meetings are under the authority of the elders and if they consist of believers worshiping together (like praying, singing or hearing God’s word taught) then a woman should cover. Some examples of these situations would be Sunday school, bible studies and prayer meetings. If a local church gathers together but is not worshiping, there would be no need to cover. Examples of these situations would be serving the community (yard work, homeless kitchen) or watching a movie together. There are a few different gatherings that pattern themselves after a local church meeting. These would include but not be limited to Christian conferences and school chapels. In these settings believers will gather together and worship God with prayer, singing and preaching–much like they do during a Sunday service. Since it is a gathering of believers that patterns itself after a church gathering, a woman should cover her head. Having said that, I’d be fine with my wife not covering in Bible college classes or conference breakout sessions where there is not bible preaching (how to be a better writer, how to choose homeschool curriculum etc.) Prayer before the teaching does not turn it into corporate worship. There are bible studies and conferences that are exclusively for women. Should women cover in that situation since no men are present? While 1 Corinthians 11 implies both genders are present, that doesn’t preclude the fact that if a unique situation appears that is foreign to the Bible (like a women-only conference) that the symbol shouldn’t be practiced. While the symbol pictures their relationship to the proper male authority in their life, the symbol is not exclusively for the man. It’s a picture for the gathered believers and to the angels too (1 Cor 11:10). I think if a man is preaching to a all-female audience then she should be covered. However, if there truly is no males participating then it’s not as easy to determine. Sometimes you can help arrive at your answer by flipping the question, which is, would you be comfortable if a man wore a hat to an all-men’s meeting? In situations where you’re unsure, it’s always better to practice the symbol than to not. There will be numerous other scenarios which you will have to think through yourself. How about a Christian concert? How about a funeral or a wedding? What about a workplace Bible study? I don’t want to pretend that all of these are clear-cut. To help you sort through the numerous gray areas and unsure situations here is a final question and an overarching principle. 1) Does my conscience tell me I should cover? 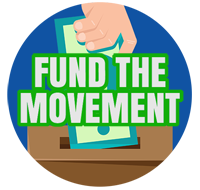 If it does, do it. Don’t worry about if it’s officially corporate worship or not. If you’re having private devotions in your closet and you feel like you should cover your head, do it. In Romans 14 Paul is talking about eating something that is biblically permissible, but the person doing the eating has doubts that it’s okay. He says of them: “he who doubts is condemned if he eats, because his eating is not from faith; and whatever is not from faith is sin.” (Rom 14:23) So applying that principle to this situation, if you’re not sure if you actually need to cover but your conscience is prompting you to, go with your conscience. 2) It’s safer to, than to not (when unsure). R.C. Sproul said, “if you treat a custom as a principle, the only guilt you bear is for being overly scrupulous. But if you take a principle of God and treat it as a local custom, and don’t observe it, you have sinned against God.” What Dr. Sproul is saying is if you do something you don’t have to do, you’re only being extra strict. But on the flipside, if you don’t practice something you’re supposed to, it’s sin. So if in a particular situation you’re unsure if you need to cover or not, just remember it’s better to, than to not. Many of the churches I have been a part of are just too small – no more than a dozen people at the smallest, two or three dozen at the largest. Some of these churches had no elders or deacons. Two and three are almost circular reasoning: if there is singing, then it’s corporate worship. You know it’s corporate worship if there’s singing going on. (among other things.) While singing is not necessarily worship, I’ve never met a church that worships without singing. One of my churches taught that any setting was appropriate for the Lord’s Supper, even using milk and Oreos. So long as your heart was in the zone, then it didn’t matter where you were or what you’re using. Most of my churches would never see it as inappriate for a woman to speak and/or lead anything, ever. Because there are so few at church, everyone gets to do something. Because women outnumber men, its only fair that everybody take turns so that no one person is stuck with one duty / obligation without end. Remember “When in Rome, do as the Romans do”? Could that apply here? When in a head covering church, cover. When not in a head covering church, don’t cover. That makes it simple. By the way, there is a lady that now wears a head covering to church – she’s gone through chemo and has lost much of her ‘glory’ (Though I think that her true glory never dims even if she’s bald). Do you head covering ladies ever have people ask you if you’ve beaten cancer? How do you respond? Wonderful and thought provoking post, Mr. Gardiner. I appreciate the work and effort that you take to provide information for the headcovering and non headcovering alike. God is working in you and through you. God bless! I agree, these smaller “church” meetings we should cover for. And going by your conscience. If you feel the need to cover, then do so. I like the analogy of asking how you would feel if a man wore a hat in this setting. I don’t feel anything about this. Not a sense of conviction nor a troubled conscience. No need to do something. It wouldn’t have mattered anyway because my churches have all told me time and time again that emotions / feelings / senses are not supposed to be trusted. That people can be led astray by chasing emotional highs. Having been to a cowboy church, it’s not out of place for men to wear hats – so it I would not feel upset / annoyed / perturbed / disturbed in the slightest any more than I would were women to not wear head coverings because it’s so normal in every other kind of church. I don’t feel guilt about what other people do, and that’s only right because other people don’t feel guilt about what I do. But we must obey the Word of God. It clearly states that men are not to cover and that women are to cover. What is up for debate is exactly when this applies and when it does not. But the Word is clear that this is a principle we must follow. That’s a lot different that just going by feelings with no Bible behind it. Actually, it’s not that clear. 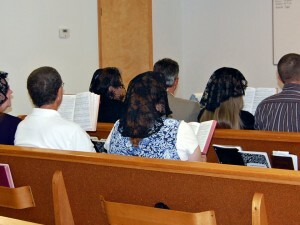 The head covering passage is one of the most unclear passages in the New Testament. It’s so unclear that people carried it on for hundreds and hundreds of years without fully understanding it. It was so unclear, people asked “why?” and almost all at once the practice ended. It was so unclear people have theorized that it means women have authority over their husbands, husbands have authority over their wives, the length of hair is important, the length of hair is less important, and that’s not including the six or so possibilities that “because of the angels” could mean. The only thing that is clear is that it is a very unclear passage – which is why it’s unclear as to where and when it applies. Even when I was a small child (I am in my 50’s) Protestant ladies still wore hats to church and Roman Catholics had lacy veils. For 19 1/2 centuries women covered for worship and men uncovered. Until women’s lib came along and all of a sudden people got a “revelation” that the Word of God did not mean what it said it meant? And this revelation seemed limited to western cultures most affected by women’s lib while other cultures (and some sub cultures in the west like anabaptist which still had a high view of male authority) still practiced covering. I don’t think ti’s a coincidence. The Word of God says women are to cover and men to be uncovered. Only women’s lib has made us read anything else into the text. The question here is what are the corporate worship settings that require the covering. If in doubt, cover, is a good rule of thumb in my opinion. The trend “just happened,” Father Hughes said. The church made no attempt to keep parishioners apprised of hat rules, but “some lady just showed up without a hat one day” and started the trend, he said. Of those questioned, those who don’t wear hats prefer it that way, and those that do, prefer it that way. My grandmother told me that it was just fashion. It was fashionable for women to wear hats and gloves. Then it was fashionable to go without hats. The church took a ‘live and let live’ approach. Reversing that stance will please the ladies that prefer hats, but will not endear this movement to those that do not. You get what you want – but others get the opposite. What you say about the cultural change only affecting the west is very true. I went on a mission trip to India in February and all the women in Christian churches there covered their heads. They did not do on a day to day basis (unless they were Muslim), but only in church. And it was definitely not because of fashion. Many of these women had such respect for God’s word and His people that they were willing to cover their heads with stained dishrags in order to be in obedience to Him. That was hugely convicting for me, because sometimes I don’t cover because I feel like I look “different”or not as pretty as I would without one. Those Indian women are courageous in their obedience of God, and I want to be the same. many women in the Indian subcontinent. cloth, which can be draped in various styles. their heads. – it sounds like they didn’t change this custom just because they converted to Christianity. They are used to a tradition of head covering in some way, shape, or form outside of a context of Christianity so it wasn’t as if they were being asked to do anything unusual – in fact for them it would have been pretty much normal. You know, it is funny, because I thought the same thing as you. When we heard that the women were going to cover their heads, I assumed that they would just drape their sari over their head. I wore a sari and I found that to be easy and comfortable. Strangely, many of the women wore saris and yet chose to cover their head with a dishcloth. I personally was not part of a mixed-gender service, but from what I understand, the men do not cover their heads during times of worship, which would be a difference from Hinduism. Also, the area in which we were was very diverse, as it lay on the border of three other countries. The women who attend that church come from varying backgrounds: some were Hindu, some were Muslim, some were Buddhist. I don’t know what the traditions of other religions during worship are, but I am not sure that the other religions played a part in the head covering at this service. On an unrelated note, I have noticed that you have commented many times on these posts about head covering. You seem to have studied it very thoroughly to come to your convictions. I personally feel very convicted by God to cover my head during worship, and he has blessed me greatly due to my obedience. I know that some women have not come to that conviction yet, and that is fine. It is between them and God. I do try to share my story with others, so that they can know what God’s word says and work to discover how they are to live in obedience to it. I didn’t cover for years because I simply was unaware that the passage existed. One day, I may stand before the throne of grace, and God may say, “You had it wrong. That was a cultural thing that didn’t apply anymore.” I don’t believe that is how it will be, but even if it is, I believe that God will bless me for obeying his word in the best way I know how. I am trying to follow him with everything I am, even in the little things. I am just curious: why are you against head covering? Is there some experience you have had, or perhaps negative results you have witnessed from this practice? I only wish to understand more of where you are coming from. I am sure you only seek to follow God wholeheartedly, just as I do. While I did find indications that Christian Head Covering in India was originated by the apostle Thomas, I couldn’t find any particular description of the custom in the manner you described. I wonder if they modified it into something everybody could participate in without causing awkwardness for the sisters from other cultures. I believe that head covering should be optional. I’m not dead-set against it because the ladies who prefer wearing hats should just as the ladies who prefer to not wear hats shouldn’t be made to. I answered this blog the same way – it’s not just about what you wear, it’s the secondary doctrine that lends toward inequality. 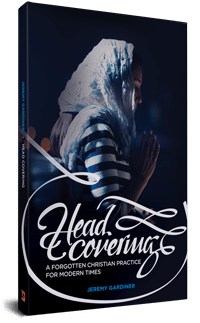 This site mentions how the head covering women in India: “During meetings women are free to openly pray, worship, praise, prophesy, testify, and even to read a passage of Scripture and give a brief comment on it.” That doesn’t happen in many of the local SBC churches. I just don’t believe that wearing something on one’s head will change the status quo – the women are silenced whether or not they have something on their heads. I for one, want to hear them speak but I don’t want to force a change of wardrobe for them to do it. Jeremy, thank you so much for these articles…I’ve been reading a lot of them lately… I have a question. 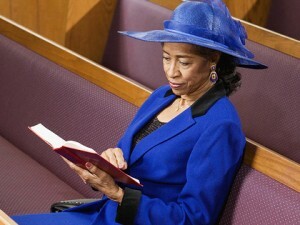 If a woman is not praying or prophesying at church… Why should she wear a head covering? Because the verse says: when a woman prays or prophesies. How do you go from that to: “a woman should wear a head covering during corporate worship”?? 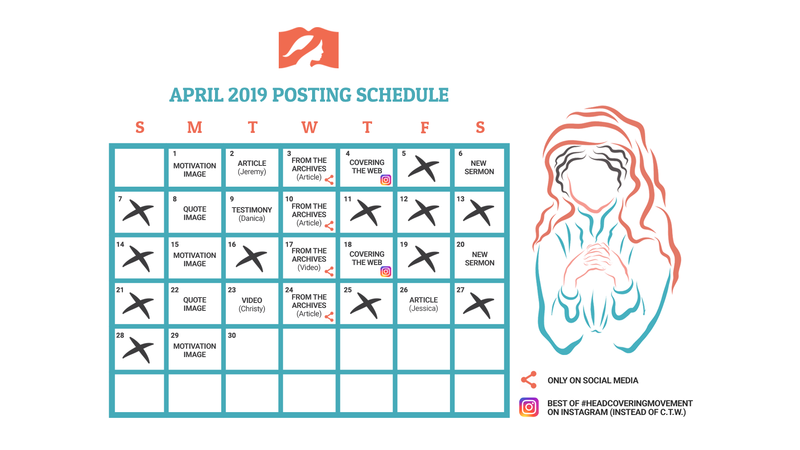 What I understand chapter 11 means is that a woman should cover her head if she’s praying or prophesying in the context of corporate worship. However if she’s silent, she doesn’t have to wear one. Does that make sense? Thank you so much! I would really like to make sure I’m understanding God’s word correctly. I don’t expect any woman to be silent in church. I assume her to be at least praying along with corporate prayers and singing songs of praise to God. The Scriptures tell us that head covering is required when praying or prophesying. These terms are likely used as a synecdoche, which is a figure of speech where part of something is used to refer to the whole. So when Paul says that we don’t struggle against “flesh and blood” (Eph 6:12) we understand that he uses those terms to refer to people. In the same way when he talks about “praying and prophesying” (1 Cor 11:4-5) he’s using that to refer to our corporate worship. So it’s not just that women are to cover (and men uncover) when we engage in prayer or something prophetic. But the same instructions would apply in singing, preaching, taking the Lord’s supper, or anything else we do corporately in our worship of God.